To test or not to test?...that is the question. Well, let me rephrase...TO TEST! Although in many states homeschoolers have the OPTION of completing a standardized test, around these parts, annual testing is mandatory. Many moms tend to recoil from this obligatory task. But although I think that there are several obvious inconsistencies with the results of such tests based on many outside contributing factors, I do think that there is much to be gleaned from this annual drudgery. Whether you live in a state that requires annual testing or you have the option to "pass", here are a few thoughts for your consideration. Testing can be a good assessment of acquired knowledge. I know...I know...as a homeschool mom, I am suppose to shy away from comparing my child to any other child. They are all UNIQUELY created, after all. How dare anyone ever suppress my child's natural love of learning by giving them a grade (gasp!) or assigning a value to their work (Insert large amounts of sarcasm!)?! But, on the other hand, a standardized test CAN be one simple way of evaluating how much your little scholar has learned from one year to the next. Just because the results COMPARE does not mean that you have to. You can simply choose to use the test scores as a tool...a helpful tool to show strengths and weaknesses. And let's be honest...although I feel completely confident in the condition of Sweetie Pea's knowledge or lack thereof in a particular area, sometimes I fail to communicate that to her. A test score, at times, can be a natural motivator, an encouraging pat on the back, or even a much needed admonishment...as the case may be. Test results can assist in curriculum evaluation...or RE-evaluation. It goes without saying...if a child does rather poorly in any particular testing area, it would be beneficial to re-evaluate the choice of curriculum or subject matter for next year. Test results are an easy "portfolio" for state requirements. Many states require an annual portfolio of sample class work for each child. Much time and energy can be saved in simply filing away annual test scores...tangible proof of educational progression from one school year to the next. Tests are an unavoidable part of higher education. If your child has any college aspirations, it would be to his/her benefit to have some testing experience. Homeschooling is a great greenhouse for many life skills and experiences. Testing can be one of them. College level testing will come so much more naturally to your child if they have already had an introduction to the "how tos" of basic testing and test preparation. Test scores can be much-needed affirmation for the momma. Who, among us, does not occasionally suffer from self doubt? Homeschool moms...or just MOMS in general...are notorious for possessing feelings of inadequacy. Just as a test score can be a natural "high five" for the child who scores AT or ABOVE grade level, a test score can be a beneficial boost for the mom and her opinion of herself and her teaching ability. If you are contemplating administering standardized tests, here is link to a helpful comparison chart of all the major testing providers, their contact info, prices, and types of test questions. In addition, it also details what, if any, administrator qualifications are required. You deleted my comment? Wow. Well, anyway, I was coming back to this post to say that I DISagree with points 2, 4, & 5 - in case I had said I AGREE with those points. I wasn't sure whether I'd said agree or disagree and I wanted to be sure it properly represented my feelings. Either way, I still say that you're still stuck in the "public school mindset" - at least, based on this post. Whether you decide to delete this comment is up to you I suppose...but at least you'll know what I meant to say. Since we live in a state that requires testing, I understand what you are saying completely and must admit that I agree... ESPECIALLY #5. I am doubting myself constantly and testing really does help affirm that I am doing the job God asks me to do. Tabitha, I hear ya'! Self-doubt is one of the deceivers biggest tools in my life, too. 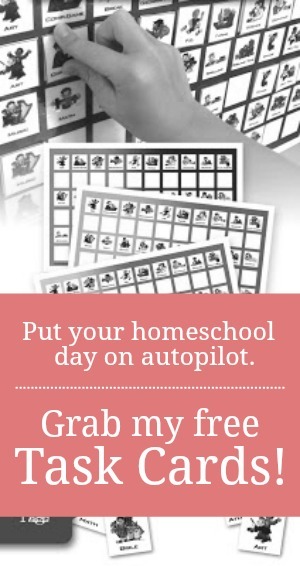 Just remember that you were given your children and CALLED to homeschool by DESIGN! God knows exactly what they will each need to fulfill their Christ-calling someday. I know that my God will have His will in my children's life not always BECAUSE of what I have taught them, but sometimes IN SPIGHT of it! Fortunately, we serve a great God who can fill in the gaps. And believe me...in my homeschool...there are many. I don't test annually but periodically, every other year or so. It makes my husband feel better and that's a BIG deal for us. The first time I tested our oldest (3rd grade) she had to LEARN how to take an assessment test - it's not like a history quiz or math test. It didn't worry me, it was no big deal, we just learned it like we learned everything else. But there was definitely a learning curve--what was obvious to me was something she was completely unfamiliar with. We don't sit down and have "test day" all formal-like.. we do a part one day and a part the next. It's pretty relaxed, but they can learn how to take assessment tests and I can see if there's anything they need to work on. We were on a large learning curve, as well. My biggest problem with assessment tests (and my reply here represents that of many, many veteran homeschoolers) is that they, by default, presume to tell you what a child of X age/grade "should" know or "should" have learned. Isn't it up to YOU, the parent, to decide what your child "should" have learned that year? Don't YOU, the parent, set your learning objectives and goals for the year? Why are you letting the government or an outside organization (depending on which tests you're using) decide for you? *That* is the biggest reason why I said you're still in the "public school mindset." The "public school mindset" believes that all children of the same age--regardless of abilities, learning styles, and interests--MUST learn the exact same things. With this sentiment, I staunchly disagree. As for the tests deciding whether or not you need to re-evaluate your curriculum: Again, don't *you* decide what you want your children to learn and when?? If you chose your curriculum because it covers the topics you'd like your child to learn that year (or at least have exposure to), then it seems that your chosen curriculum is just fine--again, *regardless* of what a standardized test thinks they should have learned. I have no interest in "standardizing" my children. One of the main reasons we reject standardized tests is that my kids may or may not be learning at the government's (or that organization's) timetable. They're learning on *my* timetable. They're being exposed to the things *I* want them exposed to, when I'd like them exposed as well as the things *they* take an interest in learning. We're also on the same page with this, so there is no "convincing" either of us (my husband and I) that homeschooling is what's best for our children. Neither of us needs (or wants) to see a standardized test because we both agree 100% that we are teaching our children according to their interests and what WE decide they need to know and when. Guess this would totally rule out any need for "affirmation." To address the final point with which I disagree (#4) there's a difference between "tests" and "standardized tests." Testing is a part of life, whether you're 20 or 50. Many jobs require testing to even consider an applicant's resumes, and many of them continue to require assessments and tests. So, with that I'll agree. However, to say that standardized tests are anything close to the types of tests to which I'm referring is a false statement. Standardized tests teach you how to take *standardized tests*--not "regular" tests. Tasha, I appreciate your opinion. That is one thing I looooove about homeschooling. Everyone is entitled to an opinion and live it out within their households. That being said, I mentioned in my post...my state makes testing MANDATORY...whether I like it or not. I do not give weekly tests or quizzes in my home, but am required to do these obligatory annual ones. I was merely trying to put a positive spin on something that is a MANDATORY drudge for many. As a side note, my husband and his brother were both homeschooled and although they are both VERY smart, neither one did exceptionally well in college...much in part due (to the Hubs own admission) to their lack of school skills. I admit, as I mentioned in my post, that there are MANY fallacies with these types of tests, but one of my goals as a homeschooling mom is to prepare my children for WHATEVER God has for them someday. College and high academics might be what God has for some or all of them. That being said, I WILL continue to incorporate some school type learning now and again, so that they do not feel as my husband did at times...unprepared. Although I welcome ALL opinions including those who agree to disagree, I deleted your original post because it was more than just a difference of opinion, but a personal character attack on myself. I value dialogue, so I hope you return again. But, just to set the record straight...I NEVER taught in public school...I taught at a few privately run, Montessori-style preschool and two more traditional BUT private elementary schools...all of which had a NON-public education view. I do not wish to make an argument out of this, but merely to respond to say that for the most part I DO AGREE with you. I simply want to encourage other moms who find themselves HAVING to test even when they do not want to do so. Tasha, we've been homeschooling for nearly 16 years with one graduated, two in high school, one in jr. high, three in elementary school, and one in preschool. The oldest, a college senior as a 19-year-old, has said that the best thing we did to prepare him for the reality of higher education as well as the work world in which he now firmly resides, was to require him to take the PSAT and a bevy of CLEP tests. The best thing I've done in all these years of homeschooling? Recognize that there is more than one way to skin a cat, and that grace wins, every time. Coming from a well-respected homeschooling veteran, Kendra, this means a lot! I just don't see the point in arguing about something that is such a personal family decision. Jamie, I am back; I'm far more thick-skinned than that, lol. As for my "personal attack" -- I'm really sorry you took it that way. I said in that post (the one you deleted) that I had been enjoying your blog. I meant that, you know. ;-) I didn't see it as a personal attack at all, but then...I don't know. I tend to miss those things because I don't really care what people think or say and tend to assume others are the same way. I for one don't care what people post on my blog, and I suppose a part of me (even if unconsciously) assumed the same goes for you. Sorry for the erroneous assumption. I mean that, too! As for your husband and his brother: that was their experience, but there are soooo many out there who have had the opposite experience when they chose higher education. The key was that they *wanted* it bad enough. I'm not saying "The Hubs" didn't want it bad enough; I'm just telling you what was said to me--that these individuals feel that their desires and what they *wanted* was a huge driving factor.......yes, even in CLEP'ing out of classes without ever having taken those classes "formally" or with "curriculum." Others I know of opted out of higher education in favor of entrepreneurial ventures, which have worked out nicely for them. However, as that is your husband, I can see where his experience would weigh heavily in your choices. Makes sense!! I suppose the biggest answer to all of this for EVERYONE is to ask themselves a question..."Why am I homeschooling?" While an excellent, well-rounded education/lifetime love of learning is ONE of my answers, it is not THE ONLY ONE. My other reasons sometimes trump that one and dictate which paths I take and curriculum choices I make. As I said earlier, that is what is so great about homeschooling. I do encourage you to stick around. We might not agree in methods very often...but then again, you might just be surprised to find that we do. I agree with you 100%. Everyone must remember there are good and bad things to just about anything we do. I think many forget the original purposes of testing which you have brought out very clearly here. Thanks for the post. Where do u get testing material? This is my first year homeschooling and I'm clueless on this. Thanks. Towards the bottom of the post, if you click on "comparison chart" it will take you to a site that lists all the major testing distributors and the pros and cons about each. We have gotten ours through BJU press. I am doing research on the regulations, or lack thereof, for homeschooling. I am finding that there are only a few states that have tighter regulations that mandate a letter of intent to homeschool and require a yearly review. It is concerning that most states do not require testing. Testing is necessary and should be done without complaint from the parents. It is a way, like you said, to evaluate how well the curriculum is working for the student and to see how they have progressed. Another problem in the lack of regulation is that most states have no laws in place restricting those convicted of a crime, even sexual crime, from homeschooling. There should be laws set in place to protect each child. As a former teacher, do you feel that their should be regulations requiring parents to have some sort of training before they homeschool?